To be honest with you, we’re not really liking ‘The Inevitable End’ from Norwegian electro purveyors Röyksopp. While the album’s full of spectacular krunking synths and deep, punchy beats, it is the band’s last album proper as we know it and therefore we’re not happy. So let’s enjoy it for the time we have it and celebrate with little dark electro nuggets like ‘Skulls’, which plays the dual role of the LP’s latest single and the album opener. 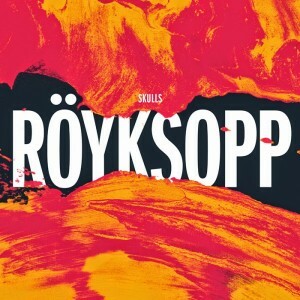 ‘Skulls’ is laden with trademark Röyksopp electronic wizardry, thundering bassline and intricate synthesisers, which are combined with some almost unnerving distorted vocals. Combined with the spooky (at times arthouse-esque) black and white clip (filmed by long time collaborator Stian Andersen) in which a group of friends venture into the “dark woods and dark places” and you’ve got a ghostly and compelling release.